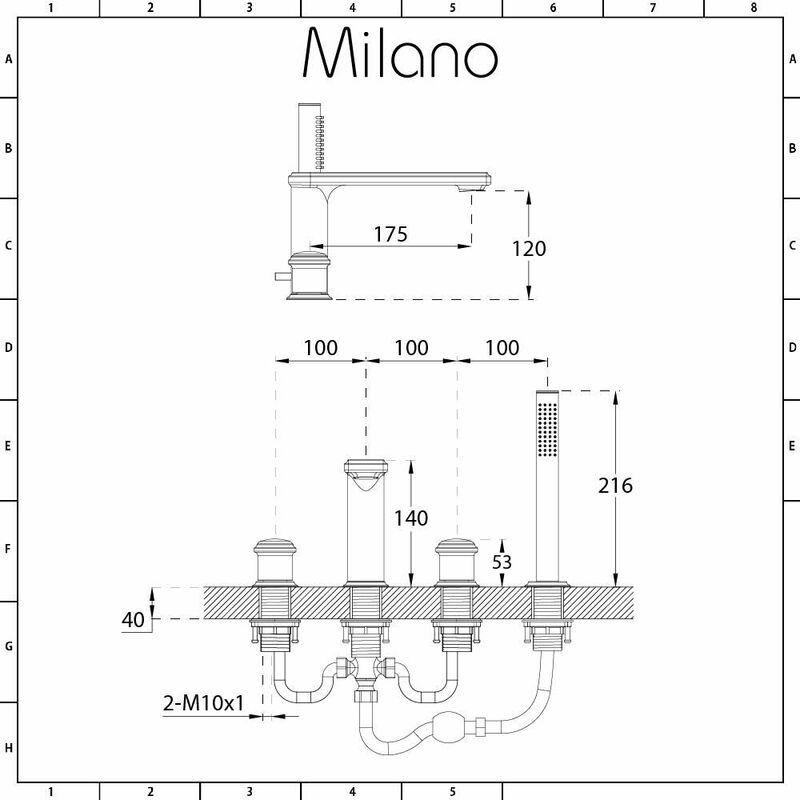 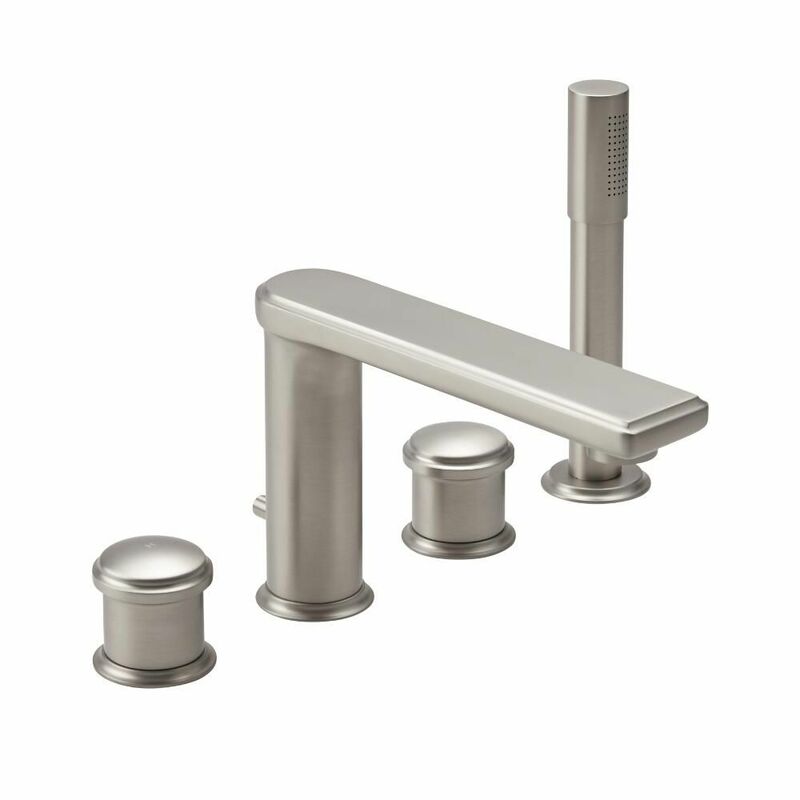 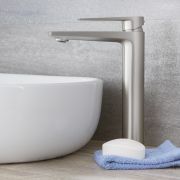 Add smart, contemporary style to your bathroom with the Milano Ashurst four tap-hole deck mounted bath shower mixer tap. 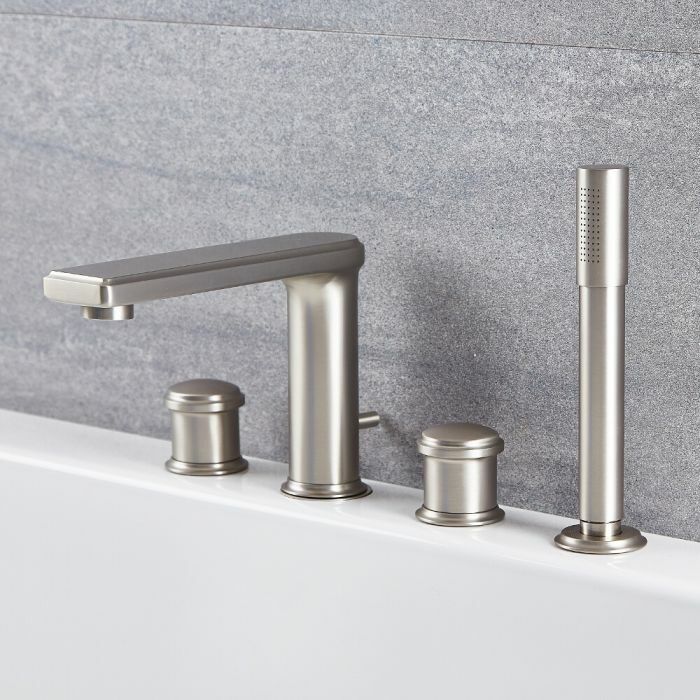 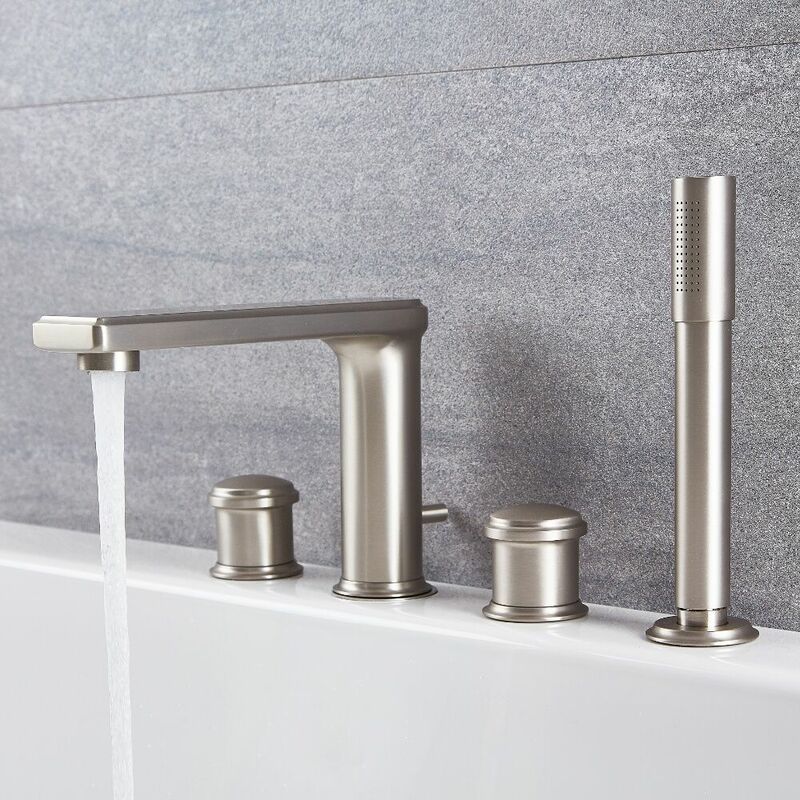 Made from solid brass to ensure great durability, this bath shower mixer tap features a brushed nickel finish and clean lines for a stunning contemporary look. 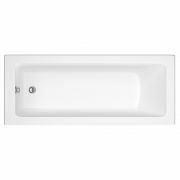 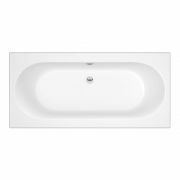 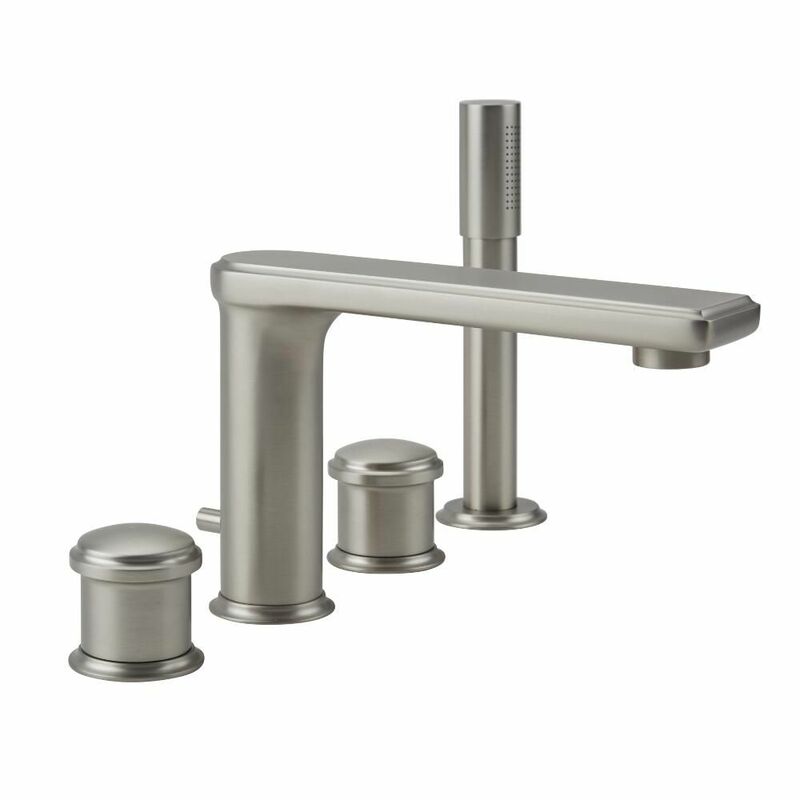 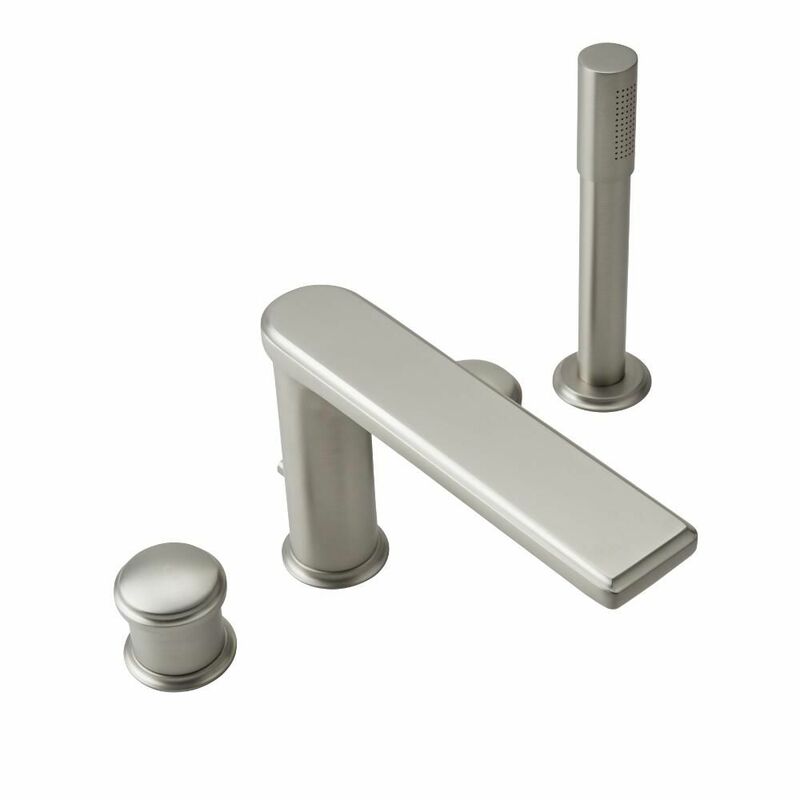 The tap incorporates ceramic disc technology to prevent any leaks and drips. 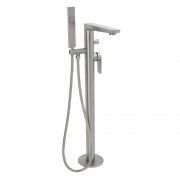 The pull-out hand shower features a rounded, ergonomic design and 65 concealed nozzles, which provide luxurious water coverage.